At NGFS, we take learning outside the classroom. From our campus garden to spelunking the Lost Sea cave in Tennessee; our students are aware of their obligations as responsible local and global citizens. From preschool -12th grade, NGFS students are challenged to get involved and get outside! 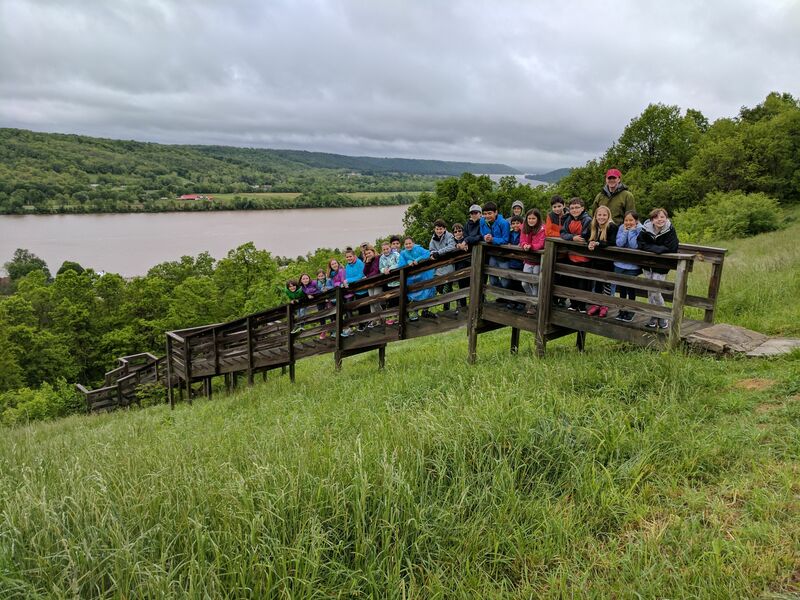 Beginning in third grade, our classes take fall and spring trips to enhance their classroom work and support the development of independence, adaptability, compassion, resiliency, and social responsibility. Studying ecosystems, students may conduct valuable in-class labs. But a trip to the Okefenokee Swamp and canoeing through the wetlands instills a new respect for biologically diverse systems. We may travel down the road with our lunch or on planes with our passports, but our reasons for going are often the same. There are lessons to be learned and people to meet, there are comfort zones that need a bit of stretching, and there is work to do. When we allow our students to engage with the world, we let them see that their worldview is valuable, but it is one of many. Class trips at NGFS are no ordinary field trip. Beginning in third grade, students take fall and spring overnight trips that immerse them in a world outside their comfort zone. Children are challenged to apply life skills in a variety of situations: learning how to set up a tent, camping in the woods, rock climbing, hiking, comforting a homesick classmate, navigating a ropes course, and most of all how to interact with their teachers and peers in a new and challenging environment. It is through these experiences that students become aware of their obligations as responsible local and global citizens. From tubing in the Ichetucknee Spring to civil rights history brought to life in Birmingham; from viewing a Shakespearean play to spending the night in the Tennessee Aquarium; from expanding on the study of elections in Washington, D.C to standing at the Ohio river slaves had to cross to freedom, the trips are as varied as the curriculum they enhance. It is through this experiential learning that students are able to feel, touch, and have real first-hand connections with what they’ve heard about and read.